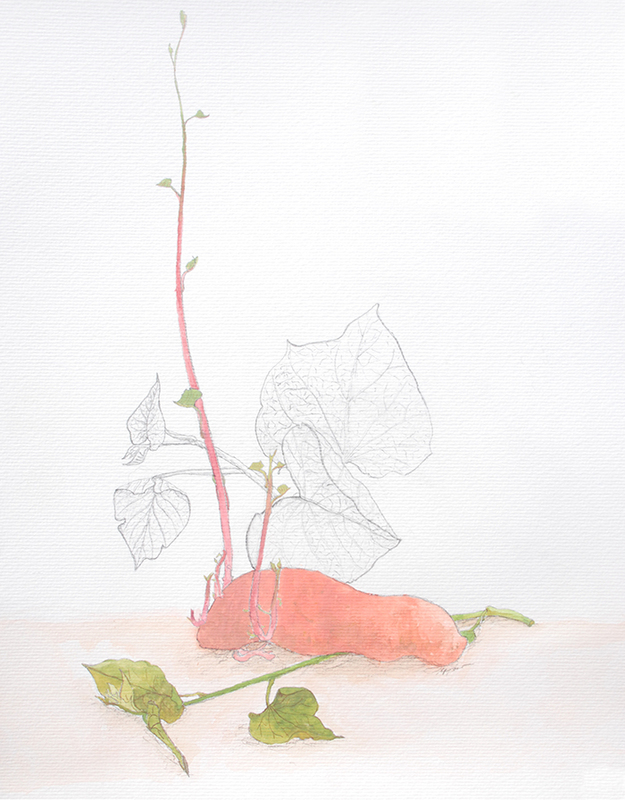 Asian white, purple, pink and the familiar orange are the colours of sweet potatoes. strange and wonderful about this sprouting vegetable. Put this painting on your wall... prints available here.